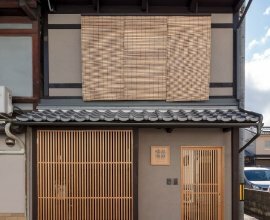 Once a flourishing Hanamachi District, this neighborhood still retains the charm and allure of when it was a bustling area for locals and travelers alike. 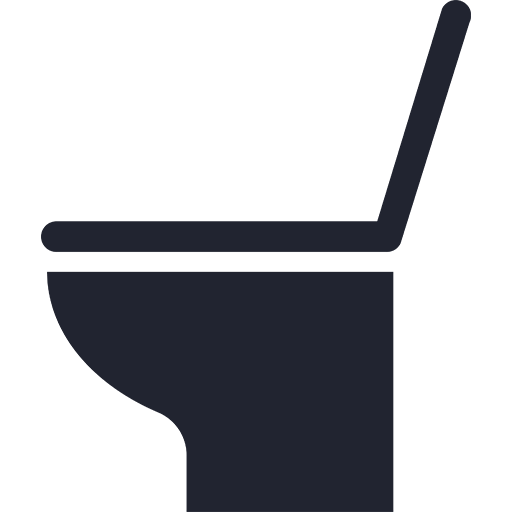 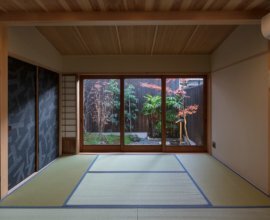 Kyoto is a city famous for its Hanamachi Districts -- areas in which geiko and maiko girls lived and perfected traditional song, dance, and entertainment for customers. 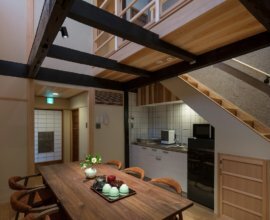 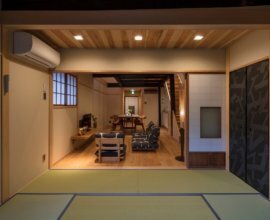 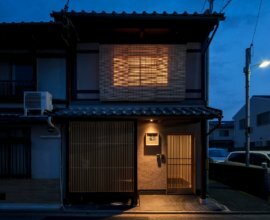 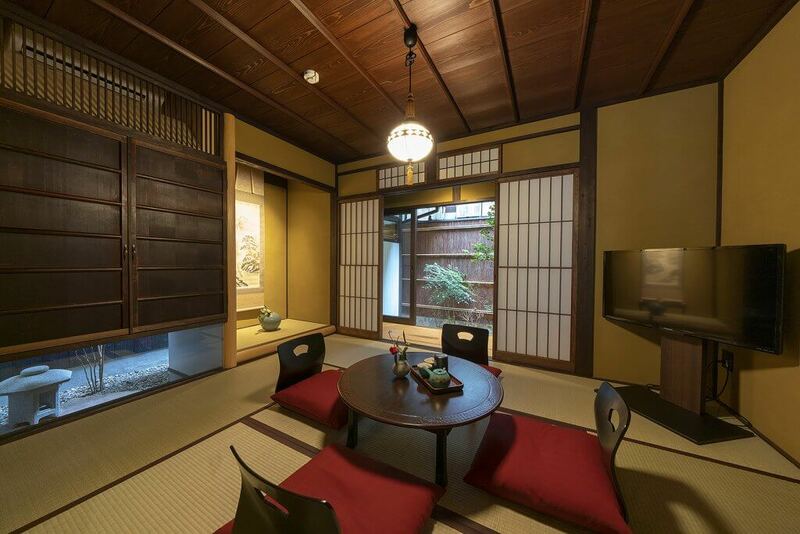 Although no longer an active Hanamachi District, Shimabara has now transformed into a neighborhood with hidden treasures and historical gems with every corner you turn. 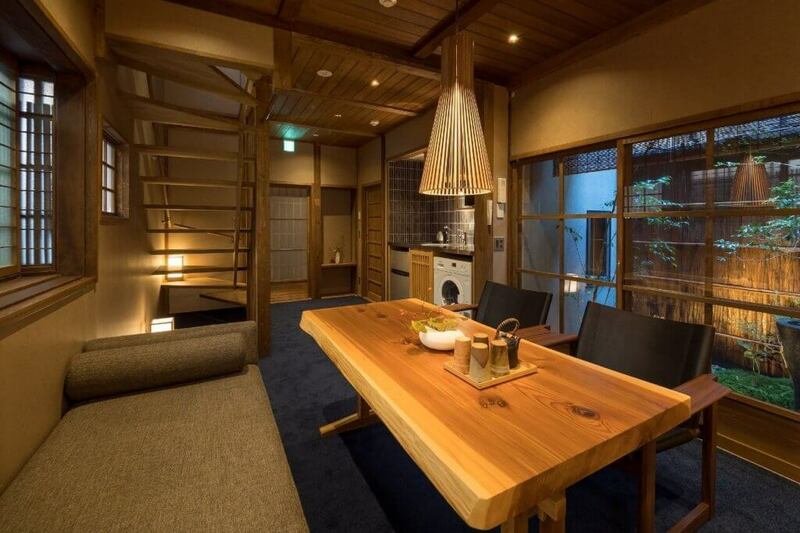 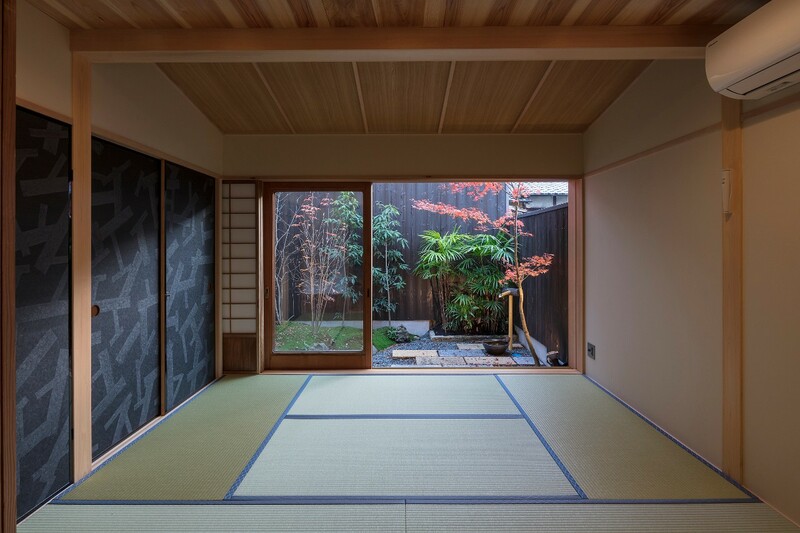 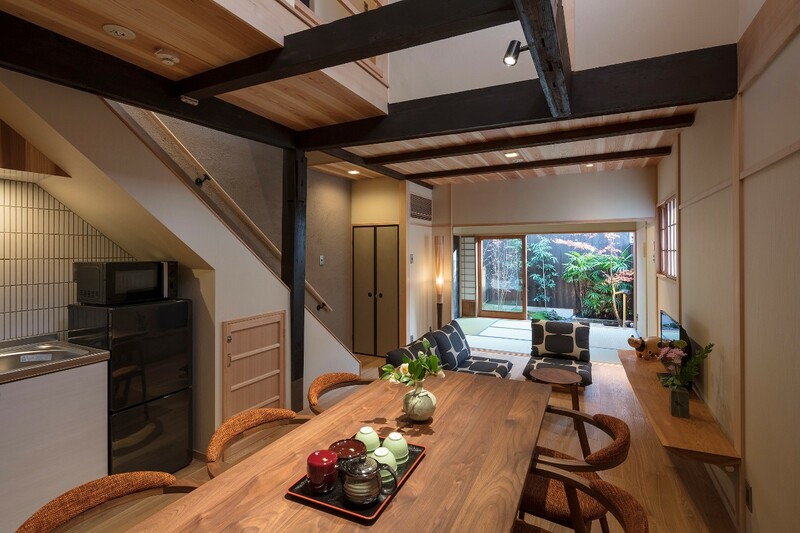 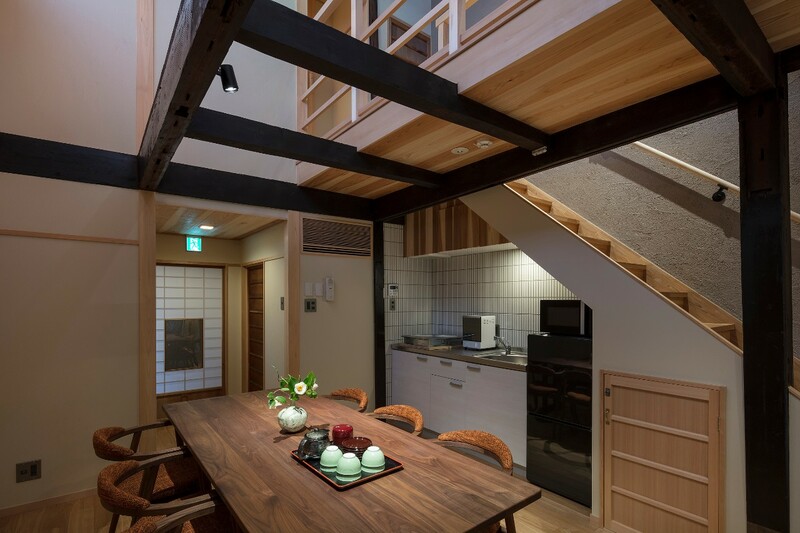 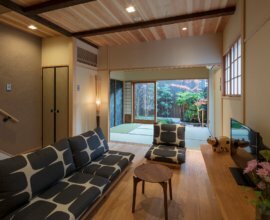 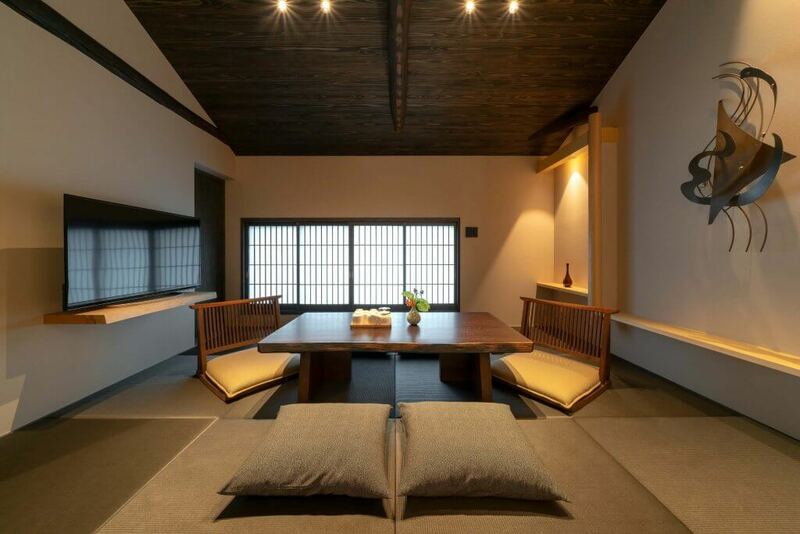 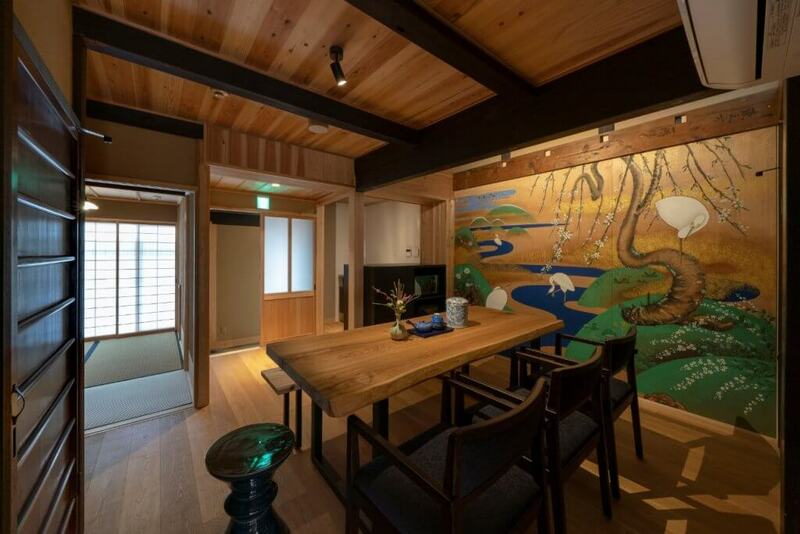 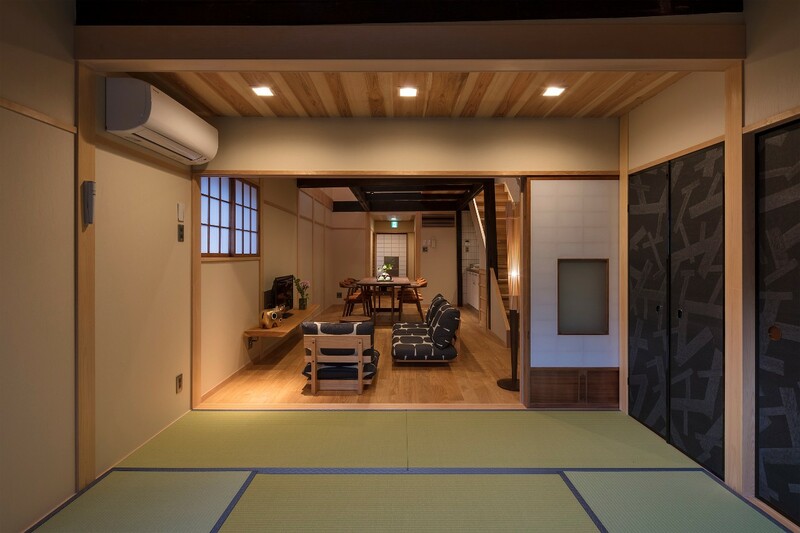 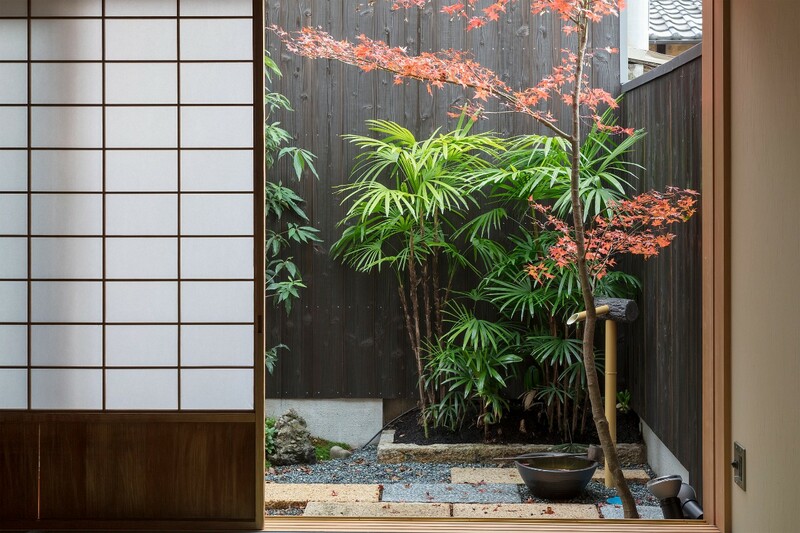 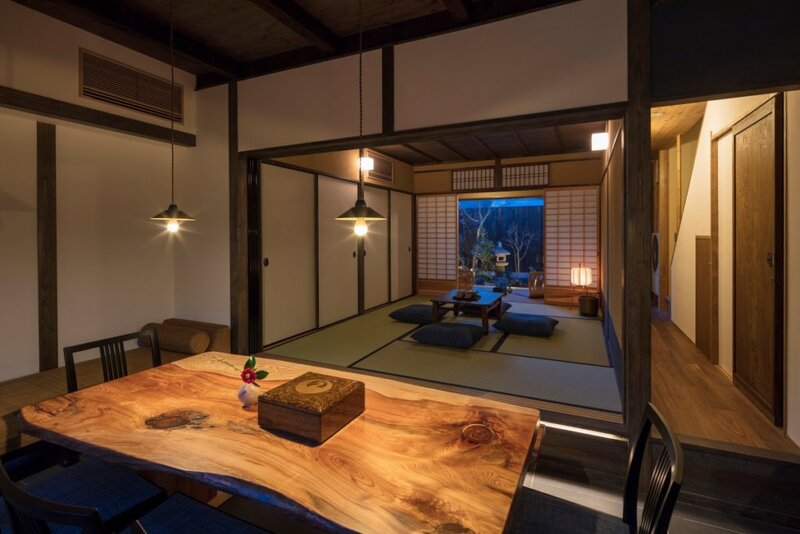 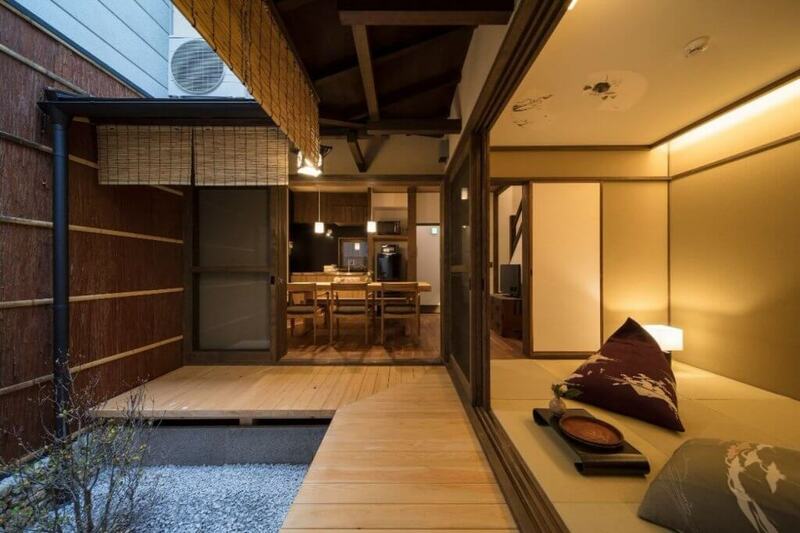 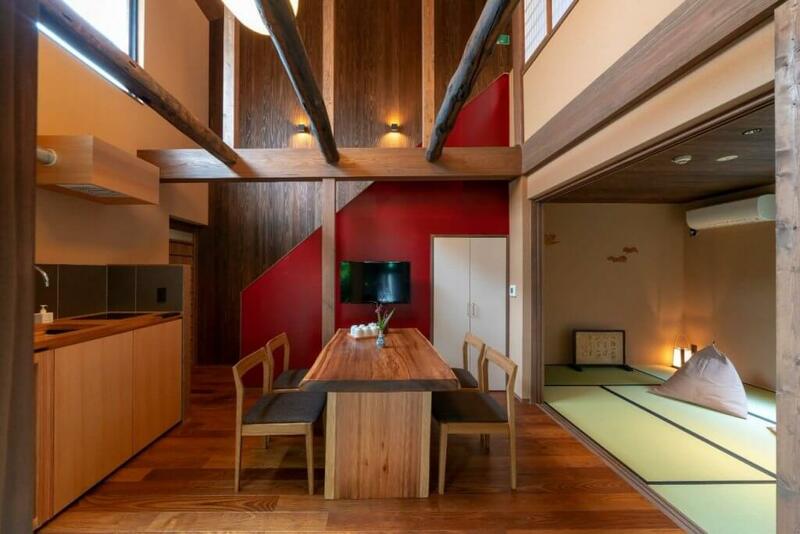 Stunning garden view In the Japanese living room, open the ‘shoji’ doors to the inner garden. 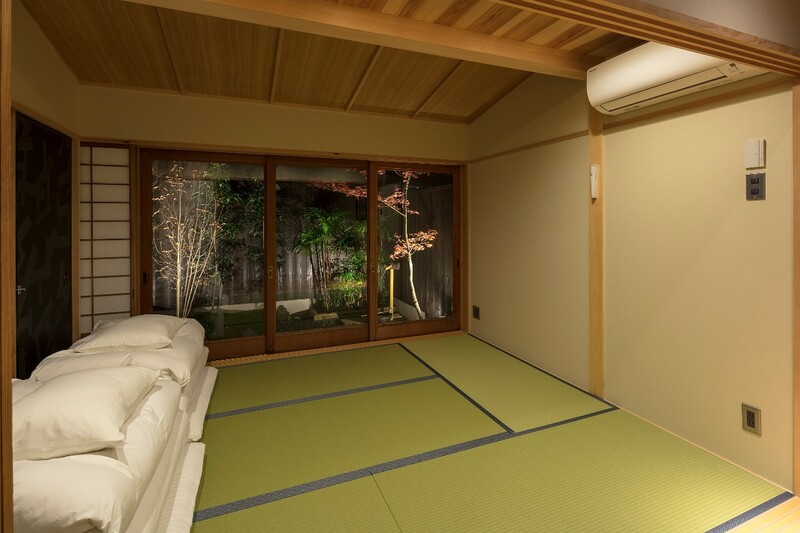 From greens to reds, with trees that reflect the four seasons of Kyoto, enjoy different scenery with each stay. 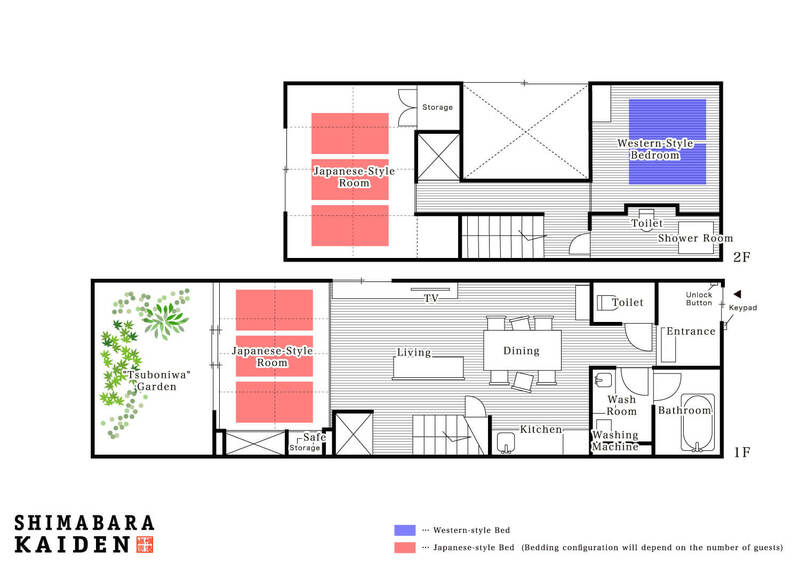 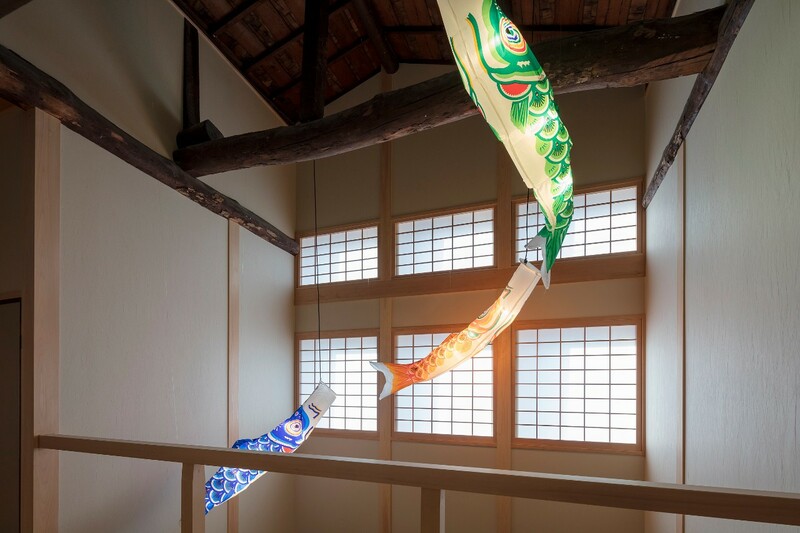 Decorated by colourful koi Enter to discover a kitchen and dining area with a high, open ceiling. 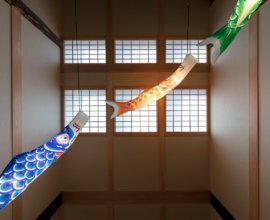 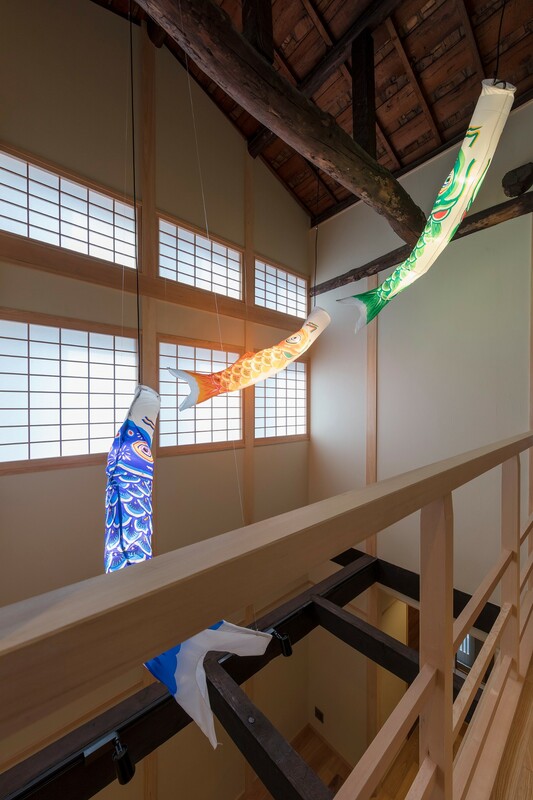 Look up to find three koi fish swimming above that illuminate the space with colour and playfulness. 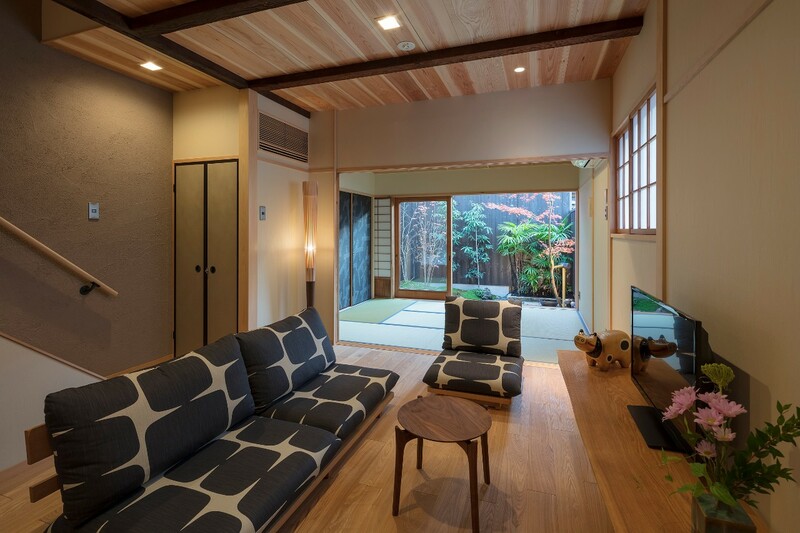 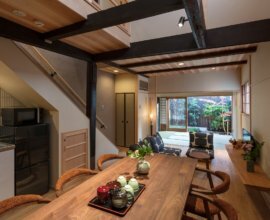 Living room adorned with folk art Relax in this airy, playful space with sofa seating featuring a traditional art pattern and an ‘akabeko’ folk toy. 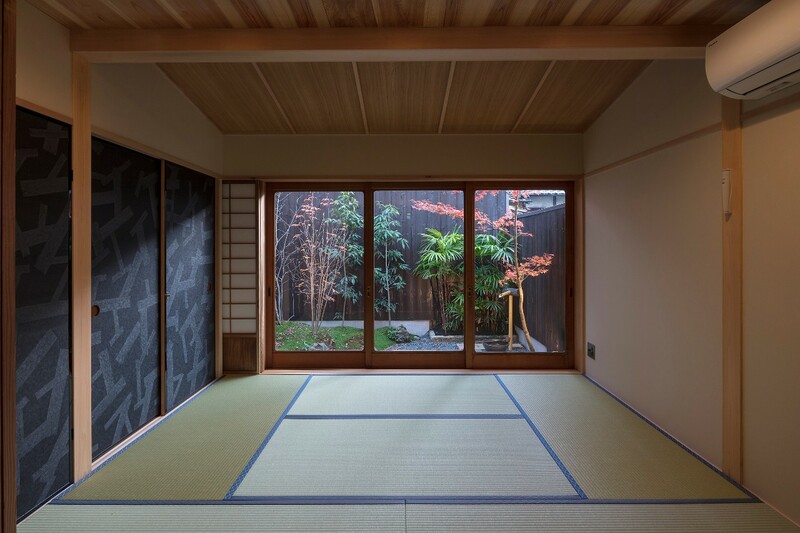 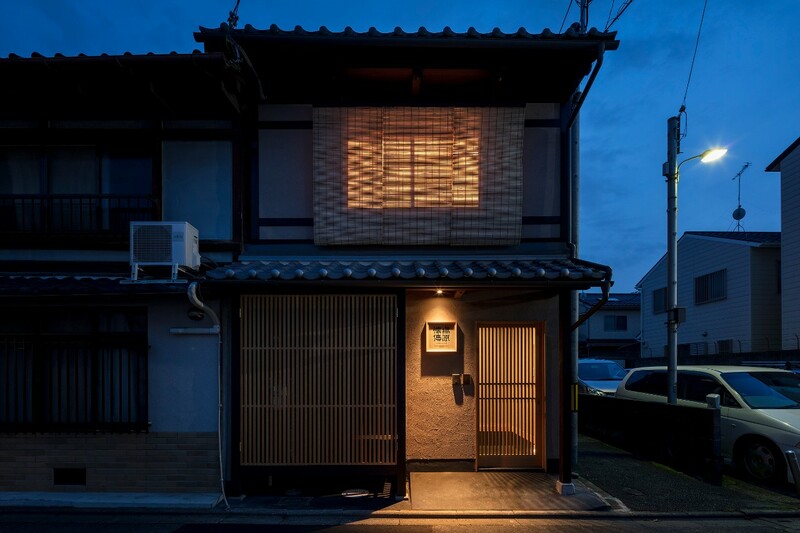 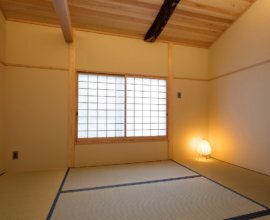 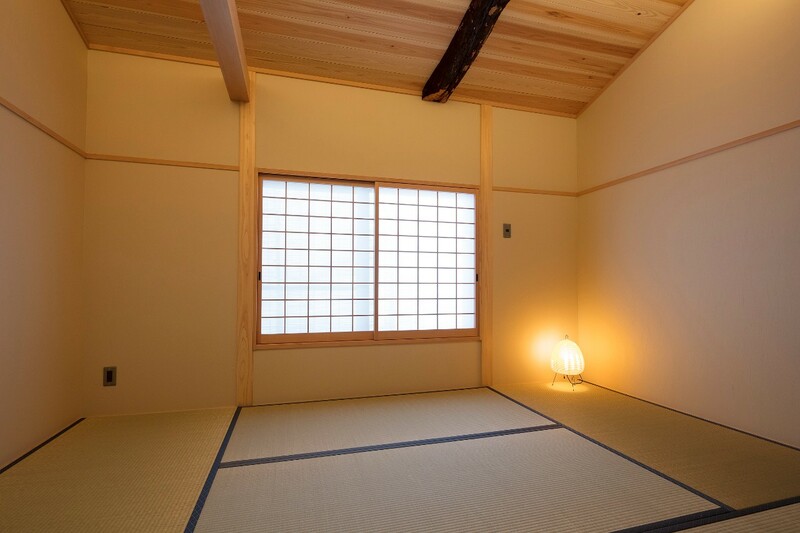 Bask in this soft light filtering through the Japanese paper windows. 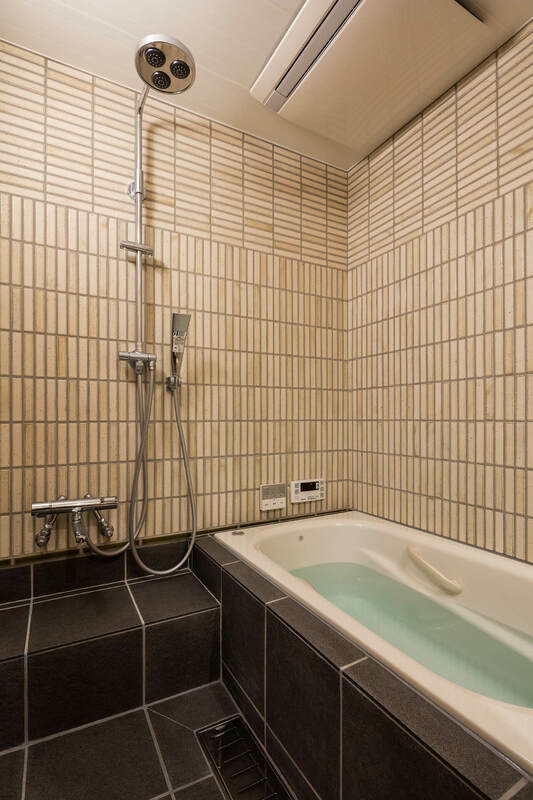 Bathroom Along with a rainfall shower, the bathroom also features a “mist sauna,” which is perfect for relaxation or for warming up in the colder months. 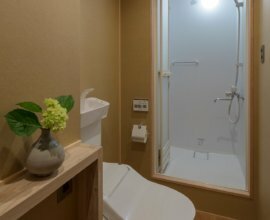 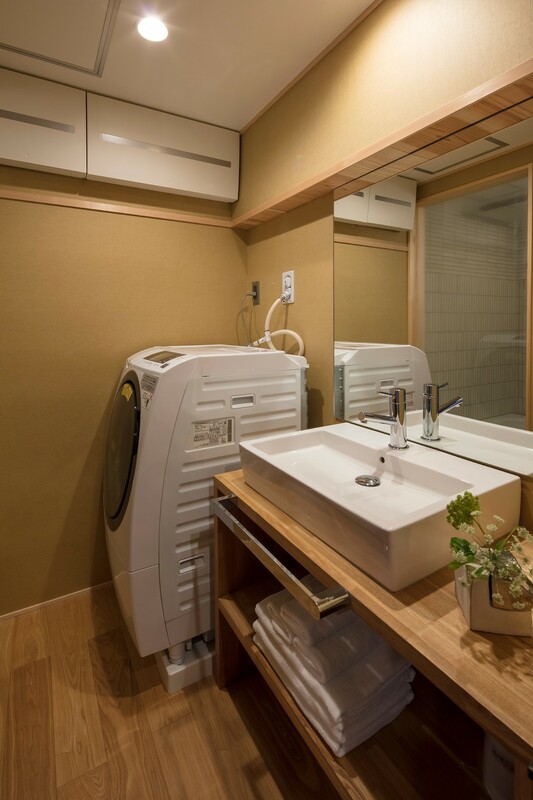 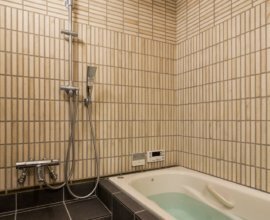 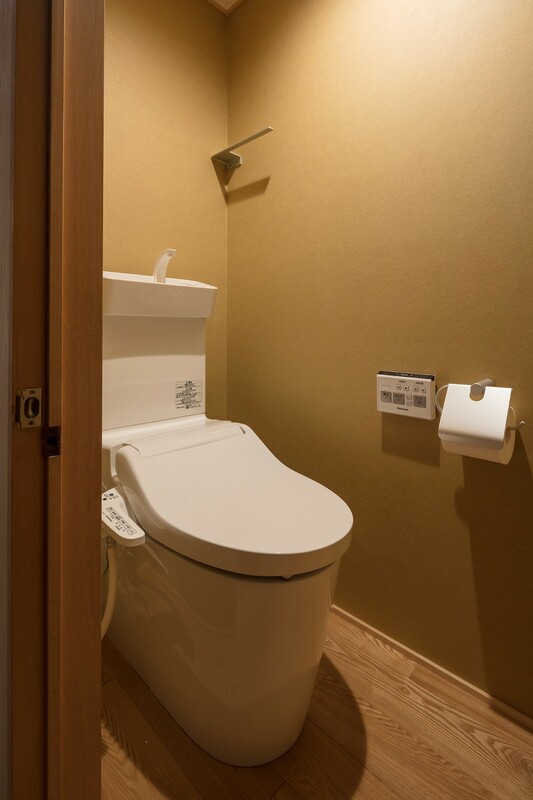 There is an additional shower room. 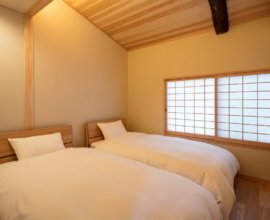 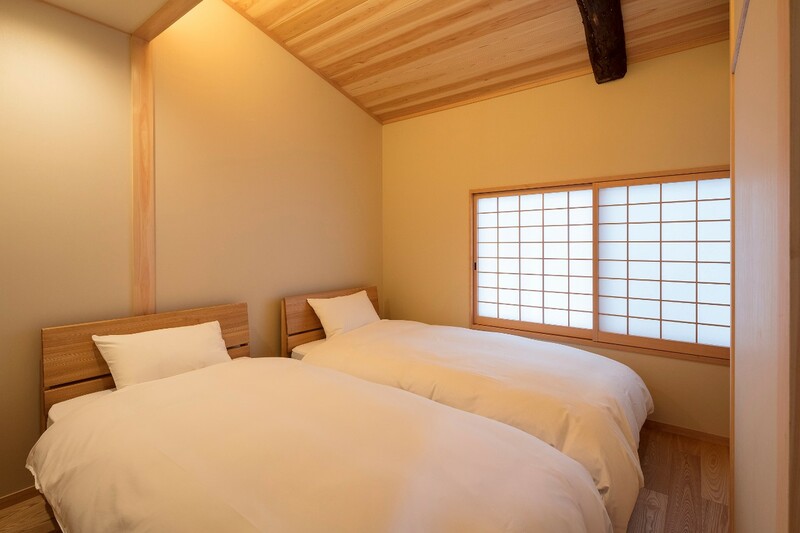 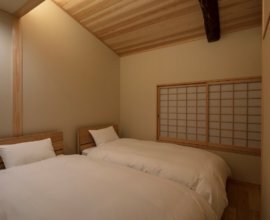 Western-style bedroom This calming and warm space features light-coloured woodwork, soft indirect lighting and Japanese ‘shoji’ paper windows. 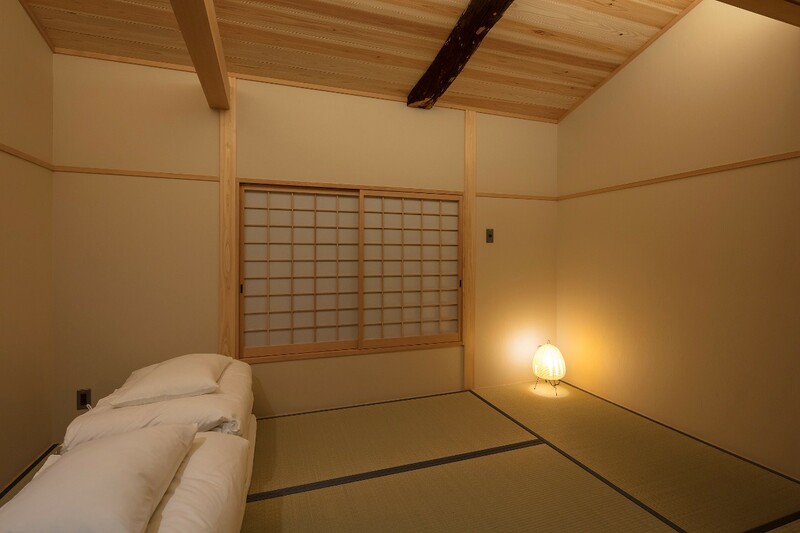 This is the perfect place to retreat at the end of the day. 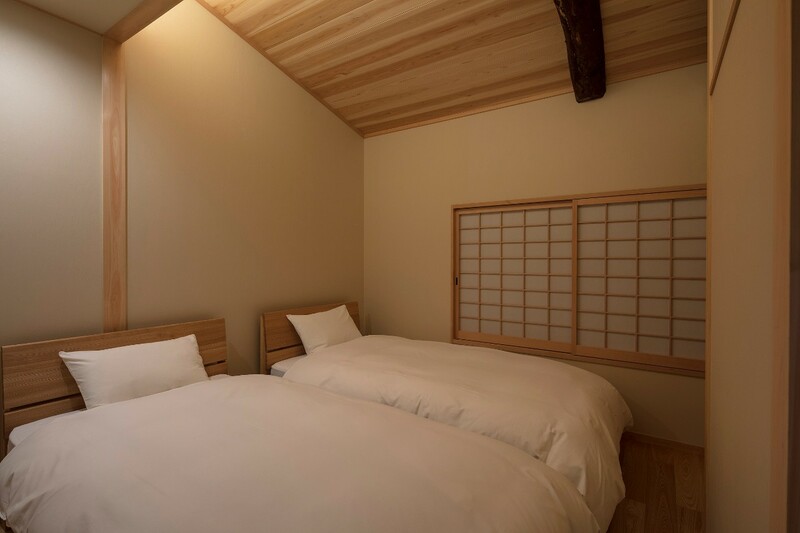 Japanese-style bedroom Simple yet elegant, this 2nd floor bedroom offers a different aspect on traditional Japanese design to the colourful and playful atmosphere downstairs. 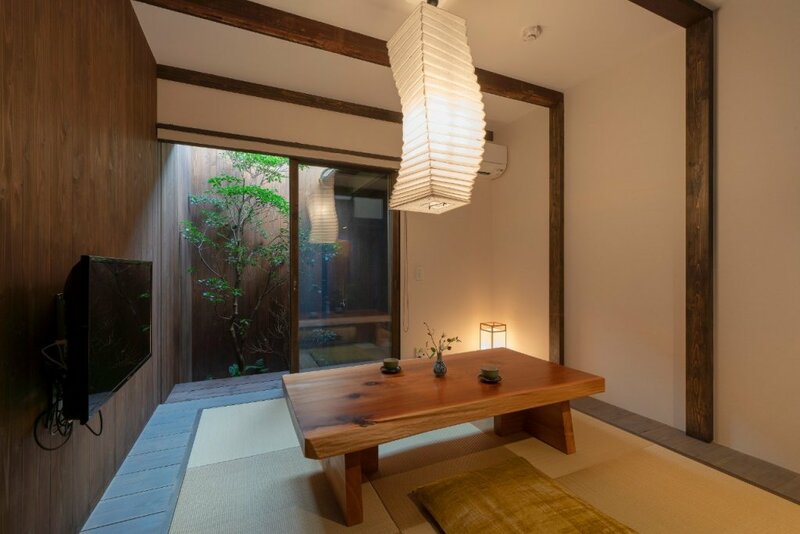 Rest beautifully in tranquility here. 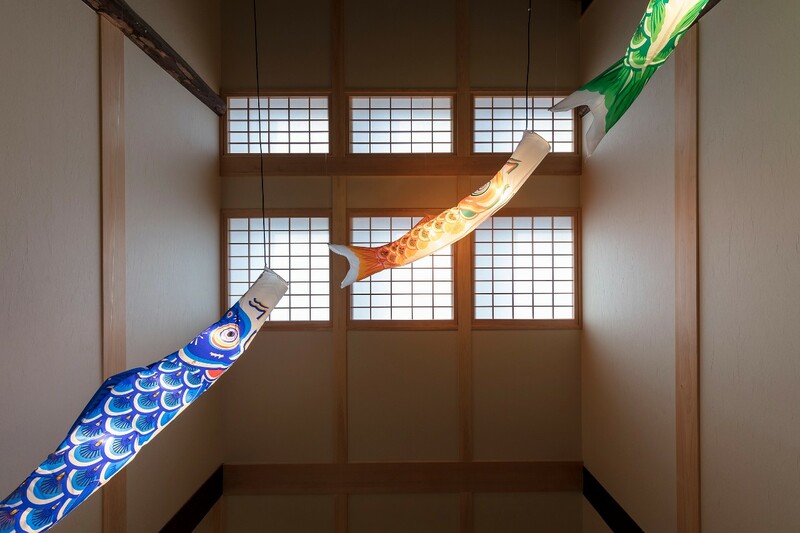 Wake up early enough and experience the Maguro Tuna auction that begins at 5am! 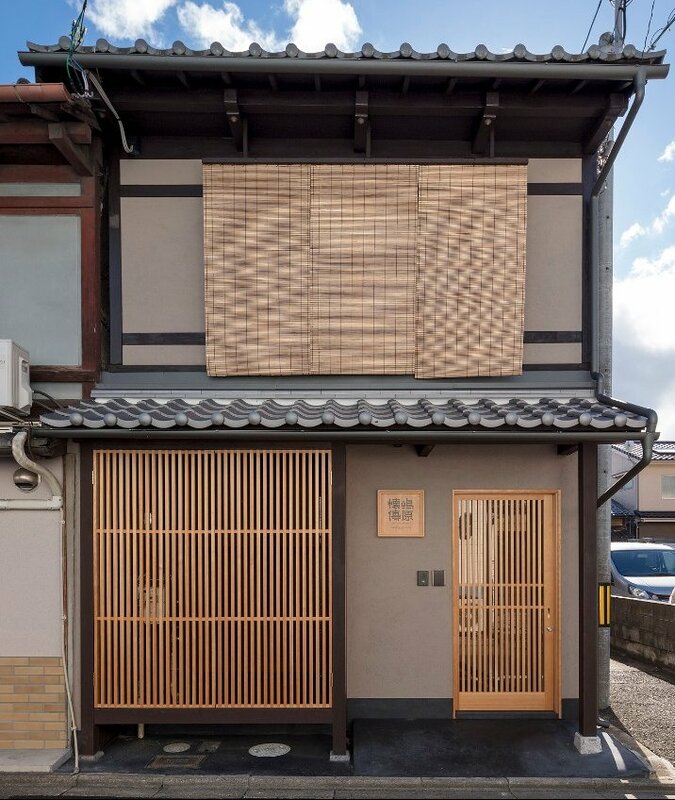 A 5 minute walk from Shimabara Kaiden house, this is Kyoto's version of the famous Tsukiji fish market in Tokyo. 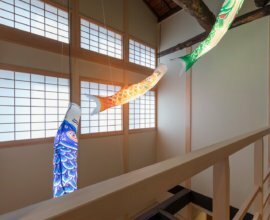 Although more compact in size, the Kyoto Oroshiuri Ichiba is still a bustling & exciting market --view the freshly caught fish displayed in a row, buyers scrambling to get the best catch of the day, and more! 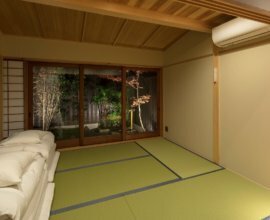 There is also an area for seasonal fruits, and kyo-kasai (Kyoto-grown vegetables) in addition to food stalls and restaurants. 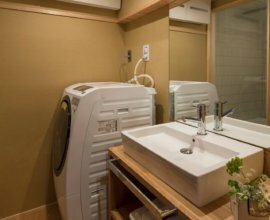 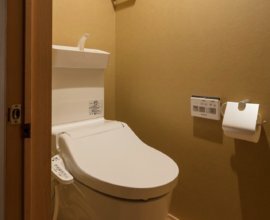 Just 1 station away from the main Kyoto Station, you'll have easy access to many sightseeing areas. 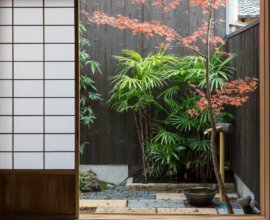 Jump on the train to visit the bustling Shijo-Kawaramachi, the famed Arashiyama Bamboo Grove and Fushimi Inari Shrine. 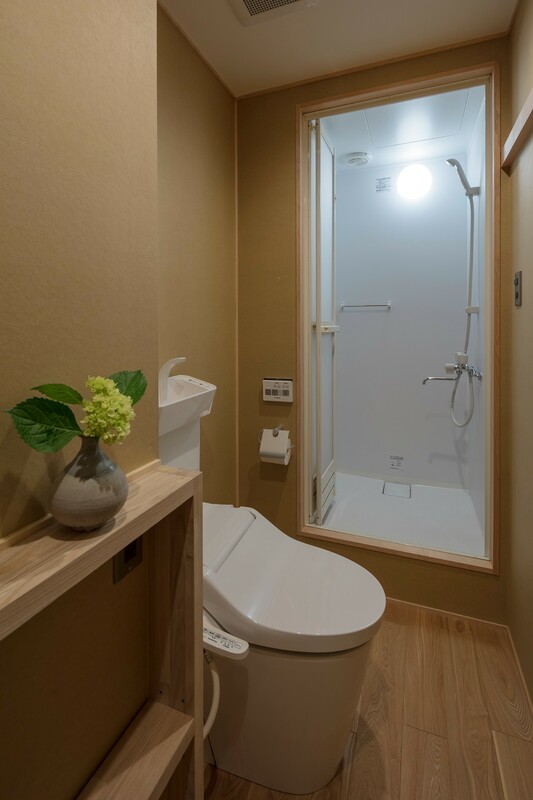 1) Take the JR San-in Line and get off at Tambaguchi Station.